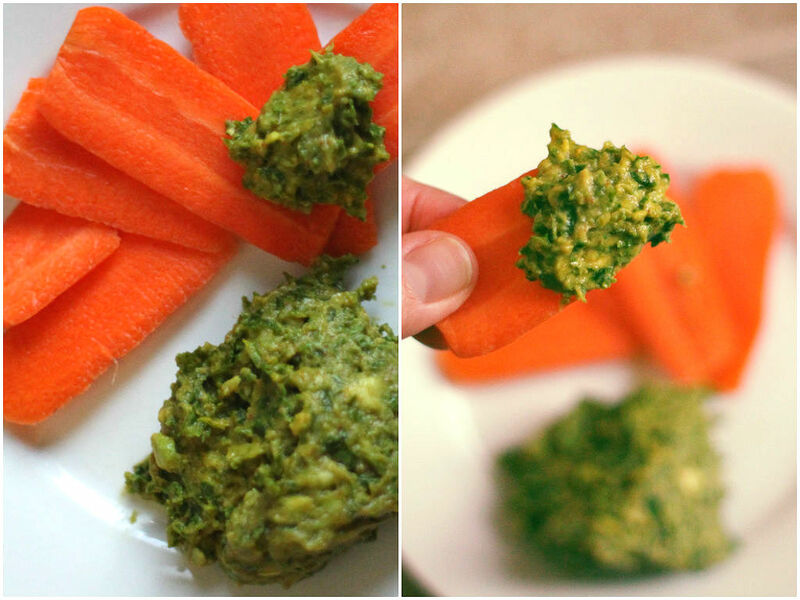 This Kale Guacamole is a great way to sneak in some extra veggies in your diet. Make sure you use a ripe avocado for super creaminess and fresh organic kale for an antioxidant boost! Avocados: prevent breast cancer with its oleic acid content, inhibit the growth of prostate cancer, defend against oral cancer, contain lutein for eye health, lower cholesterol levels due to its beta-sitosterol, contain 23% of the recommended daily value of folate (lowers incidence of heart disease), protect against strokes, helps to better absorb nutrients, are high in glutathione, which prevent aging, cancer and heart disease, and are packed with vitamin E.
Put all ingredients in your food processor and blend until smooth. Taste and adjust seasoning. Serve with raw veggies or crackers.